On this date in 1934, notorious bank robber John Dillinger escaped from the Lake County jail in Crown Point, IN. Dillinger, who had been arrested in Tucson, AZ in January, was awaiting trial for the murder of a police officer. On the morning of March 3rd, Dillinger pulled what was later reported to be a fake gun on jail guards and convinced them to open his cell. He and another inmate locked up the guards, grabbed some machine guns, and fled the jail with a deputy as a hostage. They made their way to a nearby garage, where they stole Sheriff Lillian Holly’s (front row, far left in the above photo) brand new Ford V-8. 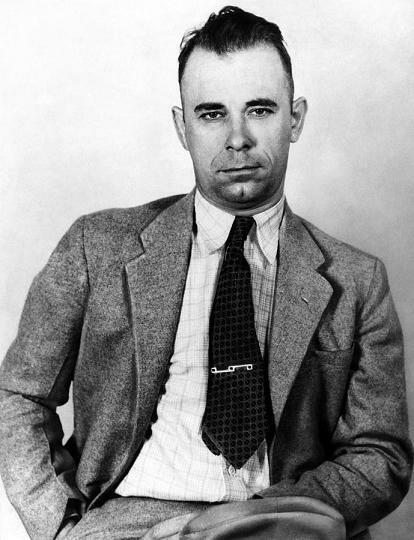 Dillinger and company fled across the state line into Illinois. This turned out to be John Dillinger’s fatal mistake. He had taken a stolen car across state lines, which is a federal crime. He would soon have the full attention of the FBI – the kind of attention he could live without. 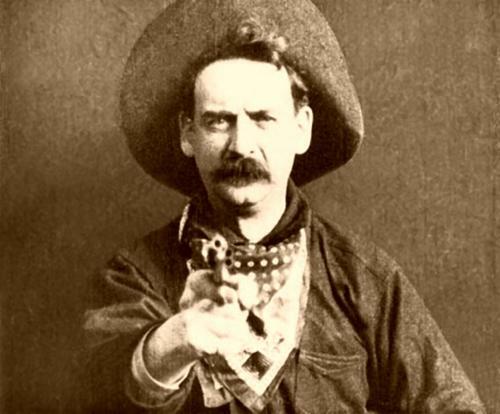 On this date in 1866, the Reno brothers committed the first peacetime train robbery. The Renos, a family of ne’er do wells, started their criminal careers as bounty jumpers (Army enlistees who collected the sign on bonus, then took off, only to enlist again elsewhere under another name and repeat the process) during the Civil War. After the war, they searched for new ways to make money. On October 6, 1866, brothers John and Simeon Reno, and associate Frank Sparkes, boarded the east-bound Ohio & Mississippi train at the Seymour, IN depot. While the train was in motion, they stormed the express car and held the messenger at gunpoint. They broke open one of the safes and stole a large sum of cash from it. They pushed a larger safe off the moving train for other gang members to retrieve. Then they pulled the emergency stop cord and fled the train. The gang wound up abandoning the second safe when they were unable to get it open. The Renos went on to commit several more robberies before most were captured by the law (and the Pinkerton Detective Agency). Most of the gang, including Simeon Reno and Frank Sparkes, died at the hands of vigilantes in three separate lynchings in Indiana. John Reno was tried and convicted. He was sent to prison in 1868, and was paroled in 1878. This one’s a two-fer. September 26, 1933 was a big day for crime stories. 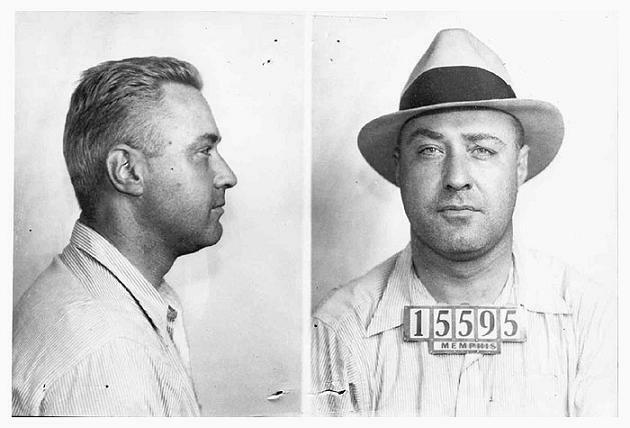 On this date in 1933, George “Machine Gun Kelly” Barnes was arrested by FBI agents in Memphis, TN. Kelly, who was asleep when agents burst in on him, surrendered without incident. 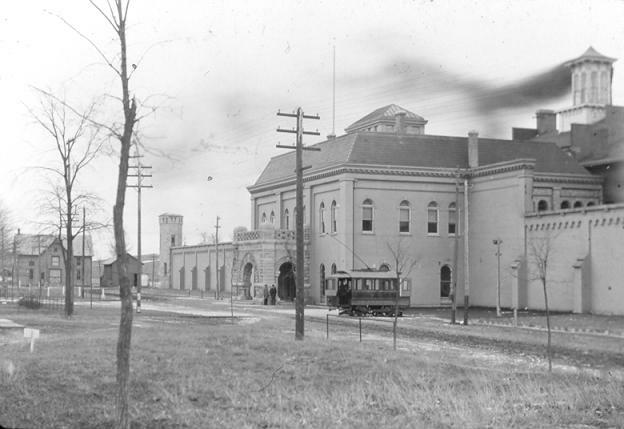 Also on this date in 1933, ten inmates escaped from the Indiana State Prison in Michigan City. The inmates took hostages using three pistols that had been smuggled into the prison. 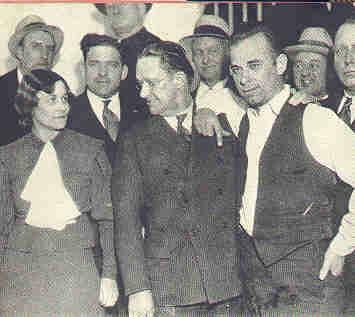 The escapees included Dillinger associates Harry Pierpont, Charles Makley, Russell Clark, and John Hamilton.